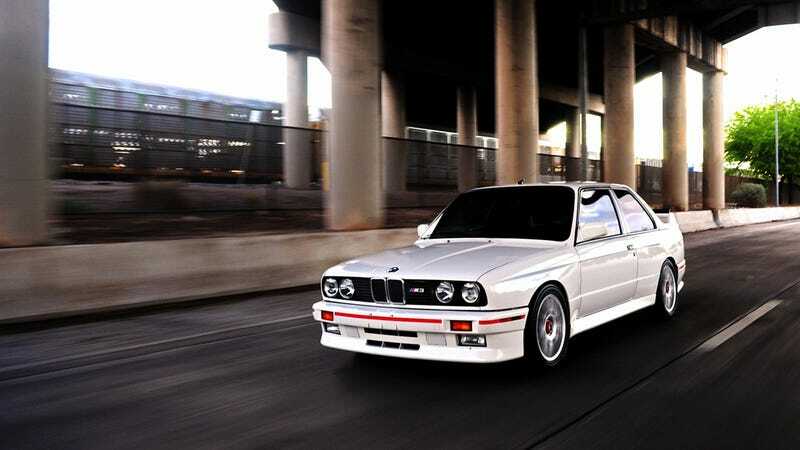 What's It Like To Daily Drive A BMW E30 M3? After today's buyer's guide, you might wonder what it would be like to actually drive a BMW E30 M3 every day. Well, here's a first person account. Yes, reader kyldare has that paragon of youngtimer automobilia, and here's his account of DD'ing the rear-drive legend. After my E36 M3 got totaled last year, I ended up buying two cars. First, I got an E30 M3 - my dream car. It has no interior except for a pair of aging seats. The paint is horrible and it was used as somebody's weekend track car for a few years before I bought it. The chassis has 228k mi. and the engine has 70k. From every conceivable angle, I shouldn't have bought the car. The other car I bought was an EVO IX MR with 45k mi. It was one of the most well-kept examples I've ever seen, and it just DESTROYS the E30 in every tangible category imaginable. It's much more reliable than the E30 and doesn't slowly overheat in Seattle's gridlocked traffic. But can you guess which car I've driven to work every day for the last two weeks? Yep, it's the dirty E30. Despite the slow coolant leak from that effing thermostat. Despite the lack of power and radio. Despite all its many flaws, it's just the greatest driving experience ever. It turns your morning commute into a DTM grid. It loves to drift in the wet or dry and that engine just BEGS you to rev the piss out of it. It's somehow both razor-sharp and utterly forgiving. I overcooked it on an off-ramp a few weeks ago in the rain and even when a hoontastic drift turned into a HOLYSHIT, it didn't betray me. I laughed it off and hooned it through the next stoplight. If anybody is thinking about getting one, just do it. You won't regret it. I honestly plan on keeping mine until I die.